Srinagar, March 4 : After a brief firing exchange, government forces on Monday night intensified their search operation to trace militants in Tral area of Awantipora in south Kashmir. 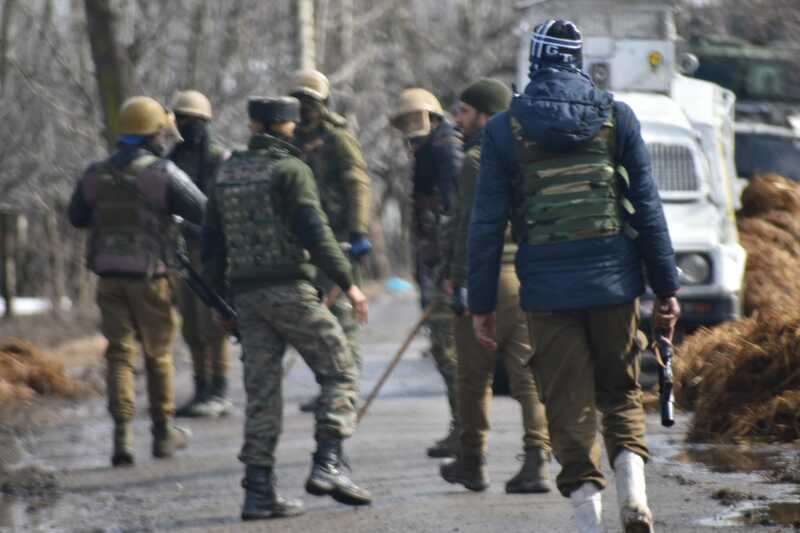 SSP Awantipora Tahir Saleem told that the joint team of police and security forces has intensified the searches in Mir Mohalla Tral to trace the hiding militants. “Cordon is still intact all the entry and exit routes to the area have been sealed,” he said. Earlier, the SSP had said that the cordon was laid following specific information about the presence of some militants. As per the sources after the initial brief exchange of firing no fresh contact has been established with militants so far. Sources said that the militants might have escaped while taking advantage of darkness amid the brief shootout.